Declining support for the liberal arts and the growth of administrative bureaucracy and “no harm” policies are cutting into both academic study and research on religion, according to two reports. The academic study of Catholic theology is “undergoing a severe stress test,” as Catholic universities and colleges are trimming their core theology course requirements and are secularizing at the same time that the discipline’s liberal orientation is finding less interest among students, writes Michael Hollerich on Commonweal magazine’s website (March 27). Catholic academic theology’s “hold on the undergraduate curriculum” at Catholic universities was linked to the post-Vatican II changes that expanded theological education to the laity, who were subsequently taught under a rising tide of theologians and historians who were often trained in secular and mainline Protestant schools, such as the University of Chicago and Yale University. Today the respect that academic theological offerings were formerly given at Catholic colleges has eroded to the point where, according to Hollerich, “schools like mine are faced with the need to go big or go home—meaning we have to turn more and more to pragmatic vo-tech educational goals, since we don’t have the cultural prestige of Notre Dame or Georgetown to live off the moneyed elite able to afford us. That leads to hiring policies that further secularize the institution,” adds Hollerich, who teaches at the University of St. Thomas in Minnesota. More generally, public understanding and tolerance of new religious movements and other forms of radical religion may be waning as universities become more squeamish about causing controversy and “harm” through academic research in these areas, writes Susan Palmer in the current issue of the journal Fieldwork in Religion (Vol. 12, No. 2). Palmer looks at the increasing reach of ethical boards (known as IRBs in the U.S.), which are committees that monitor research on human subjects at universities in North America, and how they hamper the work of researchers in approaching and studying radical social and religious movements. Palmer herself was ordered to “cease and desist” in her research on a religious anarchist group in Canada (including surrendering her notes and other records pertaining to this group) for the potential harm it may have caused members to be interviewed about their childhood memories. In interviewing other scholars of new and radical religions, Palmer found that they echoed her concerns about the time-consuming and intrusive nature of working with ethical boards. This was spelled out for sociologist Lorne Dawson and colleagues at Western Ontario University when their research on returning fighters from Iraq and Syria was delayed for over a year by the ethical board’s concern about ensuring the anonymity of subjects. Palmer adds that the secretive nature of these boards, not revealing their members, makes them unaccountable to researchers. 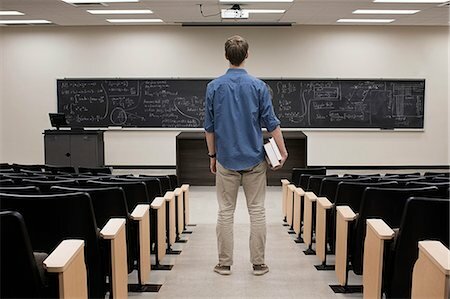 More experienced researchers have found ways of resisting the interference of ethical boards, sometimes through “benign fabrication,” but graduate students and novice researchers tend to capitulate to the boards’ demands, more often forsaking projects that would cause problems for their careers (the percentage of M.A. students using human subjects in their research declined from 40 percent in the mid-1990s to about 10 percent in the early 2000s in Canada), according to Palmer. Such researchers may also tone down their work or avoid controversy. She adds that the field of researching and writing about new religious movements may be ceded to journalists who don’t face such burdens on their work. But Palmer argues that journalists tend to be more negative and sensationalistic in covering such movements, increasing the animosity between society and such marginalized groups.